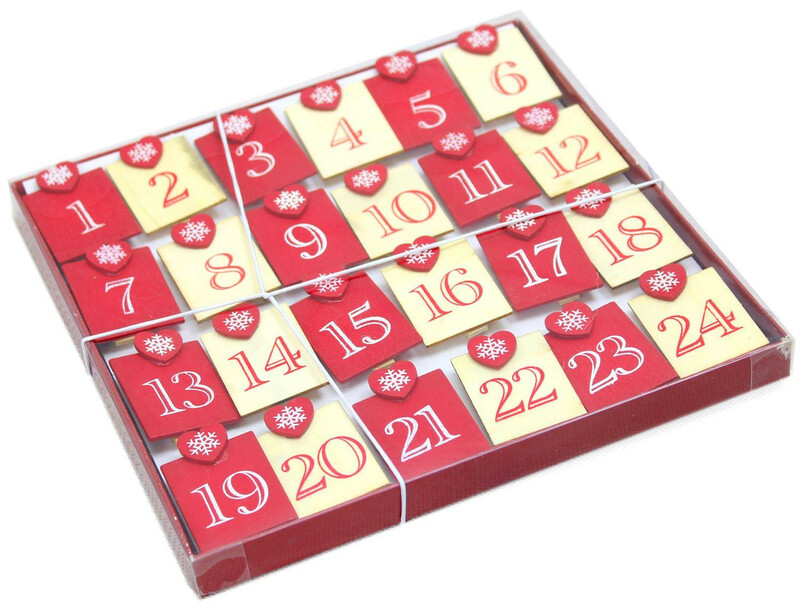 A really versatile pack of 24 wooden advent pegs. Use to display Christmas cards. Attach to little gifts and place around the house as a fun advent hunt. Use as table name place holders so your festive lunch attendees know where to sit. Lovely to use year after year. Pegs only, stringing ribbon not included.